Cart2Cart has been around with you for so long, but we'll never stop to delight you with pleasant surprises. Today, excited more than ever and just 24 hours from announcing Weebly support, we’re happy to introduce... WIX! Yes, automated data export from WIX shopping cart to more than 70 e-Commerce solutions is now provided by Cart2Cart service - easily, swiftly and qualitatively. So, get ready to gear up your store with top-notch features of WooCommerce, PrestaShop, Shopify, Magento or any other robust platform and indulge yourself with the success. Since WIX is focused mainly on newcomers of online retail, over the time migration becomes a key issue for the merchants, who are eager to push their market limits. And Cart2Cart offers a turnkey solution for shifting to something more advanced and scalable without breaking a budget. Now, you’re able to move all the necessary entities like products, attributes, variants, images, categories and other related entities from WiX only in a few hours and without messing around with coding. Stand head and shoulders above the competitors by performing a hassle-free migration from WIX! Register your Cart2Cart account and start FREE Demo migration to test how everything works. 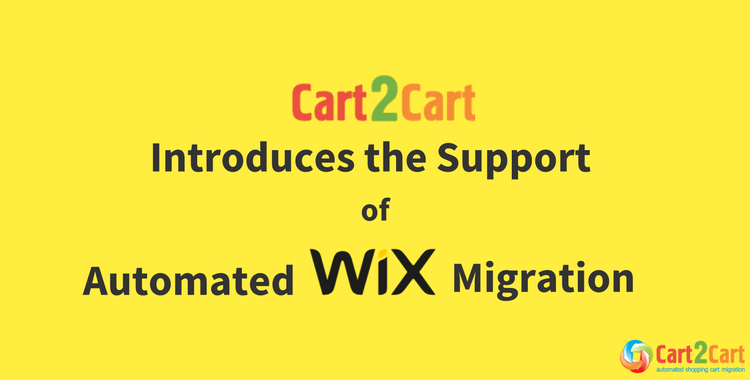 One thought on "Cart2Cart Introduces the Support of Automated WiX Migration"